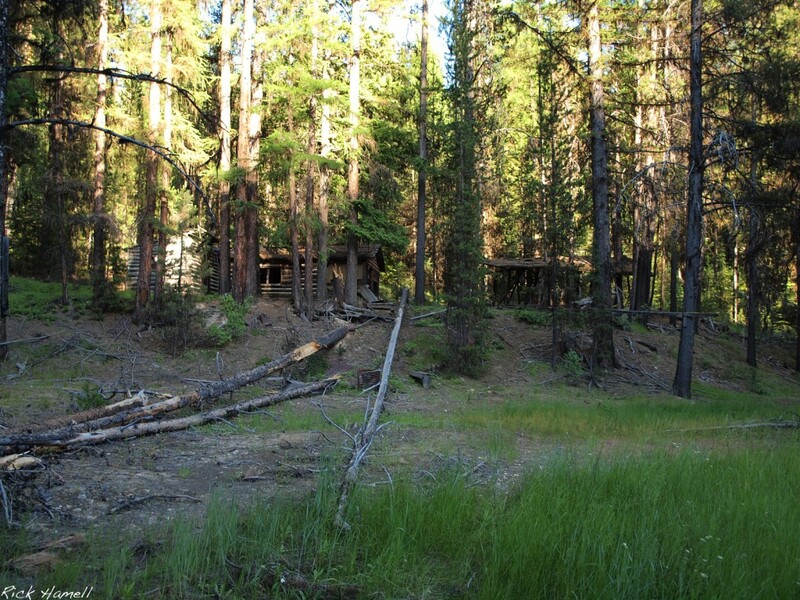 This abandoned log cabin is in the Whitman National Forest just north of the Ah Hee Diggings Interpretive site. The site has been well visited. The sides of the road are worn down from parked vehicles, and a couple of 2x8s were laid across the small river to provide closer access. Strewn about the area was a variety of scrap metal pieces, including the rear half body of a Ford Model T that had been folded in upon itself so that it was flat. The cabin windows were covered with canvas at one time, almost all of which has been ripped out. Inside sat a single chair, a 1960’s “futuristic” stainless steel kitchen table chair. I assumed at first that the building on the right was a shed to cover a saw mill as it looks similar to other saw mill’s that I’ve seen. Unfortunately it’s been so exposed to the elements that it’s impossible to tell. If there ever was a saw mill there, it’s long gone. The cabin had an interesting layout. There was a small entrance area or porch about 6×10 feet. Windows seemed to surround it, you can see where they were boarded up at one point. There is an entrance into the larger room where the chair was sitting in the middle. The floor was wood, not dirt as I expected. On the far side of the larger room was another door to what looks like a small stable or storage area. 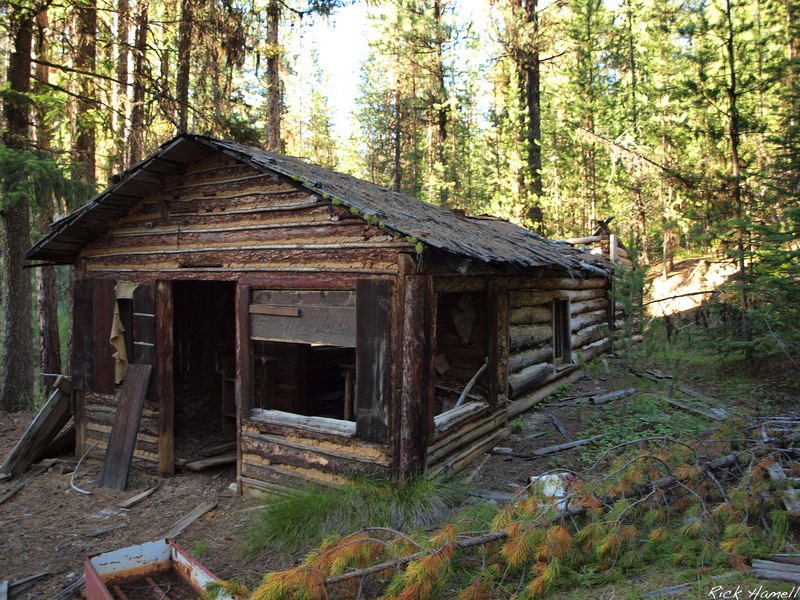 *Edit* The mentioned cabin has been positively identified as a general store. I still don’t have a name for this location, other then “Ah Hee Diggings,” there seems to be little history. If the Chinese miners had a name for it, it’s lost to time also.